* Color availability may vary according to region. A lens that withstands the elements. 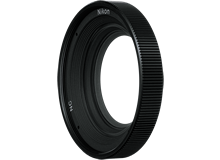 Designed specially for Nikon 1 AW1. Waterproof to 15 m (49 ft)†. Shockproof from 2 m (6.6 ft)‡. Constructed for outstanding performance to water, and rough handling, this compact zoom lens is an exceptional choice for all-around use. The focal-length coverage from medium wide-angle to medium zoom makes it an ideal “standard lens” for everything from parties to portraits, approximating the same angle of view as your eye. Never worry about sudden downpours or accidental drops with this durable and versatile 1 NIKKOR. † In-house tests have demonstrated JIS/IEC Class 8 (IPX8) waterproof performance when attached to the waterproof camera. ‡ Has passed in-house tests to MIL-STD 810F Method 516.5: Shock standard when attached to the waterproof camera. * The risk of condensation can be reduced by attaching an optional filter (Filter AW 40.5 NC) designated specifically for use with Nikon 1 AW1. This filter is recommended when the camera is used underwater, or near water. Note: Cannot change lenses underwater. Simple and compact design for a truly refined style. 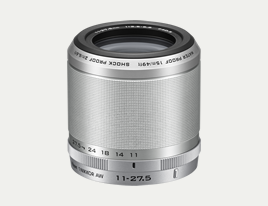 You'll appreciate the outstanding ease of use that this well-designed lens provides. 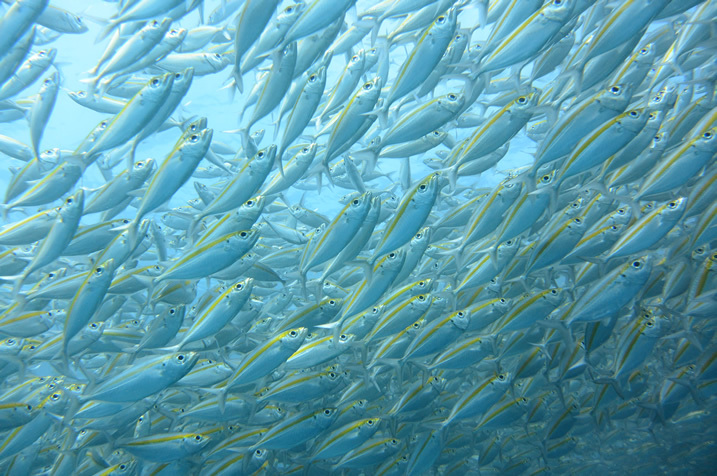 Even when bundled up against the elements — such as wearing gloves while shooting underwater — operation is smooth and sure, including zooming thanks to the extra-wide zoom ring. Featuring a high-quality, metallic exterior and chic look, the lens makes the perfect partner for shooting beneath the waves, high in the mountains or out on the town. Colors and textures exactly match the three Nikon 1 AW1 bodies†. † When purchased as a camera-lens kit. Optimally designed for excellent image quality. Optical performance identical to 1 NIKKOR 11-27.5mm f/3.5-5.6 delivers class-leading performance across the entire focal-length range. From wide-angle to telephoto, your photos and movies exhibit the remarkable sharpness and clarity that is a hallmark of 1 NIKKOR lenses. Standard zoom lens for shooting versatility. The focal length coverage (30-74mm in 35mm format) is nicely suited for capturing a wide range of subjects, including lovely scenics, flattering portraits and carefree snapshots. 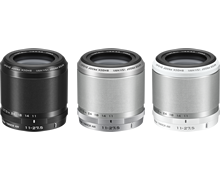 Whether in town or out in the country, you'll find this lens ideal for nearly any scene. Easy operation on land and in the sea. The extra-wide zoom ring has a finely knurled, anti-slip surface for sure handling, whether shooting above or beneath the waves and even when wearing gloves. 40.5 mm screw-on Hood HN-N103 prevents flare and ghost in the picture when shooting outdoors. Filter that is waterproof down to 20 m* with special-purpose waterproof lens attached, made specially for Nikon 1 AW1. 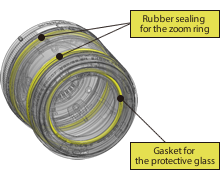 The risk of condensation can be reduced by attaching this filter to the designated waterproof lenses. This filter is recommended when the camera is used underwater, or near water. 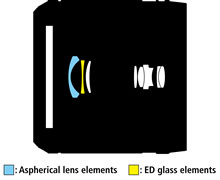 The lens is not shockproof when Filter is attached. 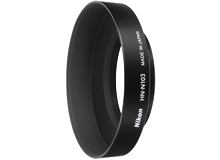 * Waterproof is down to 15m when attached to 1 NIKKOR AW 11-27.5mm f/3.5-5.6. * Note: Hood cannot be used underwater and the lens is not shockproof when hood is attached. * When attached to waterproof cameras. Specifications subject to change without notice. Nikon will not be held liable for damages that may result from any mistakes that this page may contain.